Medical Students Get Full Tuition Scholarships and a Stipend When They Add A PhD On To Medical School! According to the AAMC – Association of American Medical Colleges there are 123 combined MD and PhD programs in the United States. 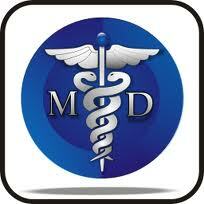 These programs are geared towards people that want to become research physicians. Physician-scientists are needed so that the achievements of basic science laboratories and other focused research efforts can be translated into active clinical practice. However, the financial pressures on MD-only graduates are so great that few physicians choose to spend the time necessary to obtain research training after medical school. In order to address this issue, most MD-PhD programs pay candidates a stipend and tuition scholarships during the training years. The financial support for those willing to undertake MD-PhD training recognizes the additional time that a student must spend in training for this career. The extent of this support varies among programs. For example, some programs only support U.S. citizens and permanent residents. Here is the list of schools by states offering the dual degree programs. Check each school for their particular tuition scholarships available. University of Alabama School of Medicine Birmingham, Ala.
University of South Alabama College of Medicine Mobile, Ala.
University of Arizona Health Sciences Center Tucson, Ariz.
University of Arkansas College of Medicine Little Rock, Ark. Loma Linda University School of Medicine Loma Linda, Calif.
Stanford University School of Medicine Stanford, Calif.
University of California, Davis School of Medicine Davis, Calif.
University of California, Irvine School of Medicine Irvine, Calif.
University of California, Los Angeles School of Medicine Los Angeles, Calif.
University of California, San Diego School of Medicine La Jolla, Calif.
University of California, San Francisco School of Medicine San Francisco, Calif.
University of Southern California School of Medicine Los Angeles, Calif.
University of Connecticut School of Medicine Farmington, Conn.
Yale University School of Medicine New Haven, Conn.
Georgetown University School of Medicine Washington, D.C.
Howard University College of Medicine Washington, D.C.
University of Florida College of Medicine Gainesville, Fla.
University of Miami Miller School of Medicine Miami, Fla.
University of South Florida College of Medicine Tampa, Fla.
Emory University School of Medicine Atlanta, Ga.
Medical College of Georgia Augusta, Ga.
Morehouse School of Medicine Atlanta, Ga.
University of Hawaii John A. Burns School of Medicine Honolulu, Hi. Loyola University of Chicago – Stritch School of Medicine Maywood, Ill.
Northwestern University Medical School Chicago, Ill.
Rosalind Franklin University of Medicine and Science – Chicago Medical School North Chicago, Ill. Rush Medical College of Rush University Chicago, Ill.
University of Chicago Pritzker School of Medicine Chicago, Ill.
University of Illinois at Chicago College of Medicine Chicago, Ill.
University of Illinois at Urbana-Champaign College of Medicine Urbana, Ill.
Indiana University School of Medicine Indianapolis, Ind. University of Kansas School of Medicine Kansas City, Kan.
University of Louisville School of Medicine Louisville, Ky.
Louisiana State University, Shreveport School of Medicine Shreveport, La. National Institutes of Health Intramural MD-PhD Partnership Bethesda, Md. Uniformed Services University of the Health Sciences Bethesda, Md. University of Michigan Medical School Ann Arbor, Mich.
Wayne State University School of Medicine Detroit, Mich.
Mayo Medical School Rochester, Minn.
University of Minnesota Medical School Minneapolis, Minn.
University of Mississippi School of Medicine Jackson, Miss. Saint Louis University School of Medicine St. Louis, Mo. University of Missouri – Columbia School of Medicine Columbia, Mo. University of Missouri – Kansas City School of Medicine Kansas City, Mo. Washington University School of Medicine St. Louis, Mo. Creighton University School of Medicine Omaha, Neb. University of Nebraska College of Medicine Omaha, Neb. University of Nevada School of Medicine Reno, Nev.
Dartmouth Medical School Hanover, N.H.
University of Medicine & Dentistry of New Jersey – New Jersey Medical School Newark, N.J.
University of Medicine & Dentistry of New Jersey – Robert Wood Johnson Medical School Piscataway, N.J.
University of New Mexico School of Medicine Albuquerque, N.M.
Albany Medical College Albany, N.Y.
Albert Einstein College of Medicine of Yeshiva University Bronx, N.Y.
Columbia University College of Physicians and Surgeons New York, N.Y.
Weill Cornell/Rockefeller/Sloan-Kettering Tri-Institutional MD/PhD Program New York, N.Y.
Mount Sinai School of Medicine New York, N.Y.
New York Medical College Valhalla, N.Y.
New York University School of Medicine New York, N.Y.
SUNY at Buffalo School of Medicine Buffalo, N.Y.
SUNY at Stony Brook Health Sciences Center Stony Brook, N.Y.
SUNY Downstate Medical Center College of Medicine Brooklyn, N.Y.
SUNY Upstate Medical University Syracuse, N.Y.
University of Rochester School of Medicine Rochester, N.Y. Bowman Gray School of Medicine of Wake Forest University Winston-Salem, N.C.
Brody School of Medicine at East Carolina University Greenville, N.C.
Duke University School of Medicine Durham, N.C.
University of North Carolina at Chapel Hill School of Medicine Chapel Hill, N.C.
University of North Dakota School of Medicine Grand Forks, N.D.
University of Oklahoma Health Sciences Center Oklahoma City, Okla.
Oregon Health Sciences University School of Medicine Portland, Ore.
Drexel University College of Medicine Philadelphia, Penn. Jefferson Medical College Philadelphia, Penn. Penn State University College of Medicine Hershey, Penn. University of Pennsylvania School of Medicine Philadelphia, Penn. University of Pittsburgh School of Medicine Pittsburgh, Penn. Temple University School of Medicine Philadelphia, Penn. Brown University School of Medicine Providence, R.I.
Medical University of South Carolina Charleston, S.C.
University of South Carolina School of Medicine Columbia, S.C.
University of South Dakota School of Medicine Vermillion, S.D. East Tennessee State University James H. Quillen College of Medicine Johnson City, Tenn.
Meharry Medical College School of Medicine Nashville, Tenn.
University of Tennessee, Memphis College of Medicine Memphis, Tenn.
Vanderbilt University School of Medicine Nashville, Tenn.
University of Vermont College of Medicine Burlington, Vt.
Eastern Virginia Medical School Norfolk, Va.
Virginia Commonwealth University School of Medicine Richmond, Va.
University of Virginia School of Medicine Charlottesville, Va.
University of Washington School of Medicine Seattle, Wash.
Marshall University School of Medicine Huntington, W.Va.
West Virginia University School of Medicine Morgantown, W.Va.
Medical College of Wisconsin Milwaukee, Wisc. University of Wisconsin Medical School Madison, Wisc. Read more about Financial Support and Tuition Scholarships For MD – PhD Students.